It is likely, that the exchange rate re-tests the upper trend boundary in the nearest future. If the given channel does not hold, rate might reach the weekly R1 at 1.1350. 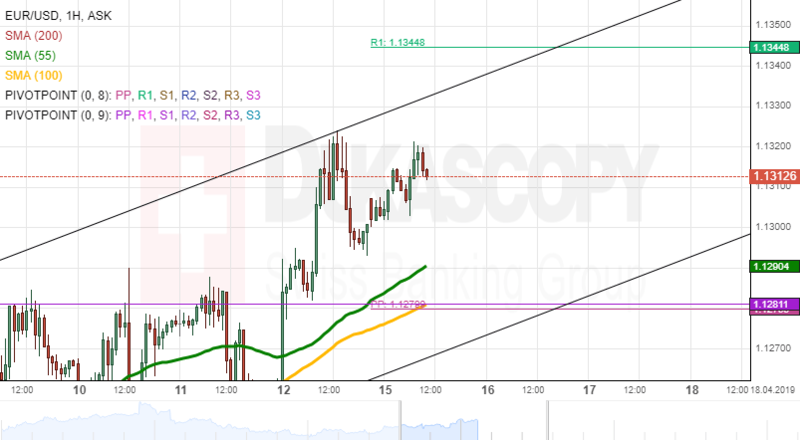 Otherwise, it is expected, that the rate trades sideways between the psychological levels at 1.1300 and 1.3200 respectively. It is unlikely, that the pair could decline lower than 1.12800 due to the support level formed by the 55– and 100-hour SMAs, as well the weekly and monthly PPs.